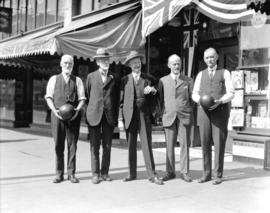 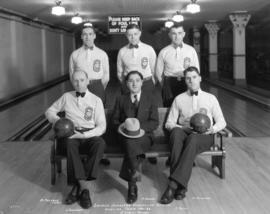 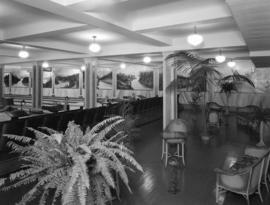 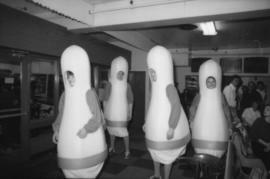 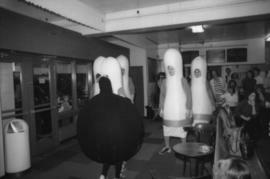 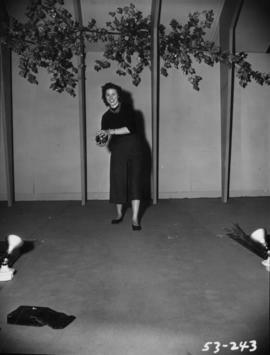 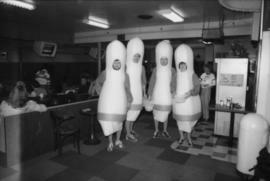 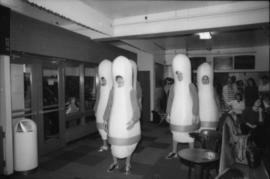 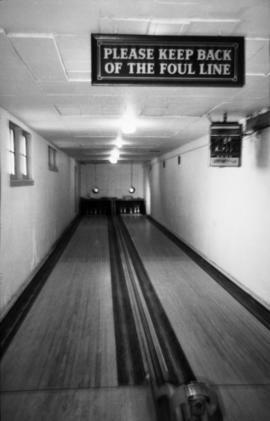 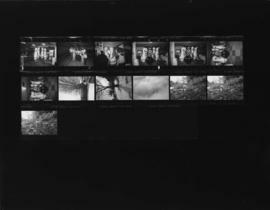 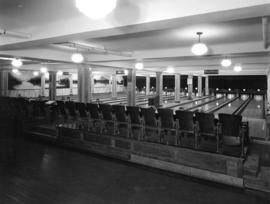 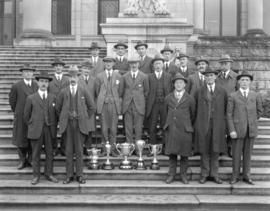 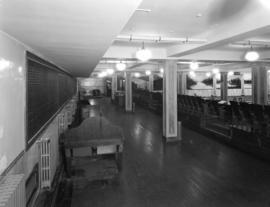 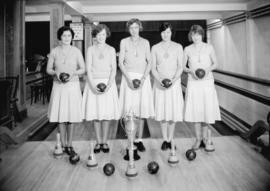 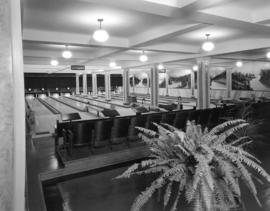 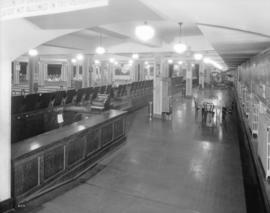 Photograph shows interior Chapman's Alleys (1105 Seymour Street) with group of male bowlers. 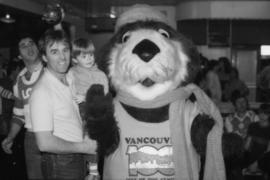 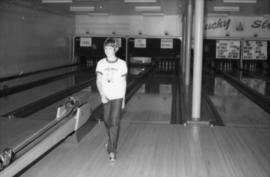 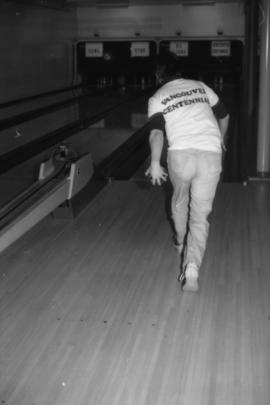 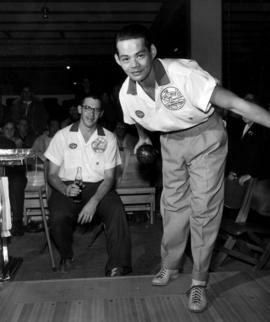 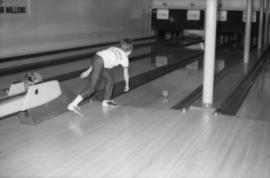 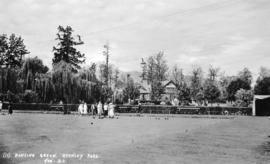 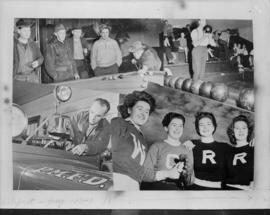 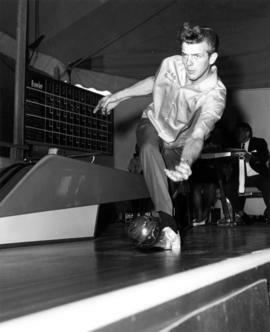 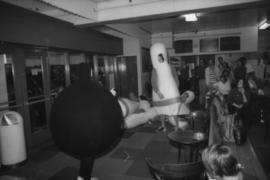 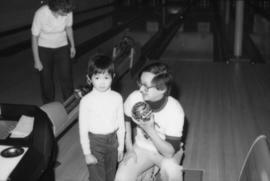 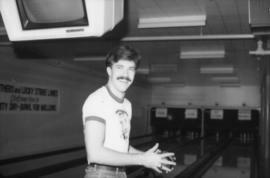 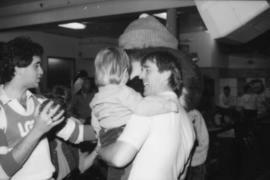 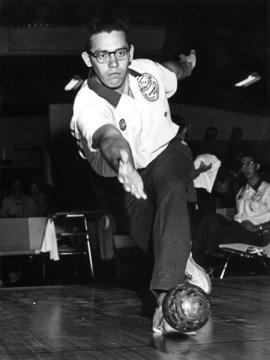 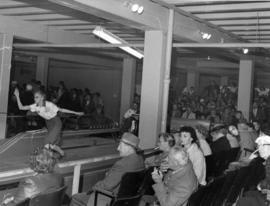 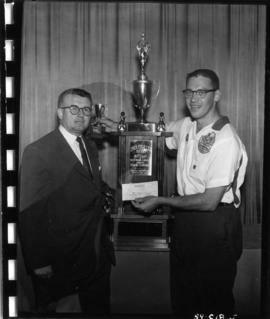 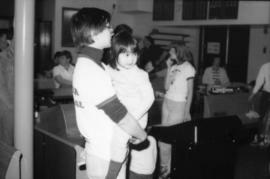 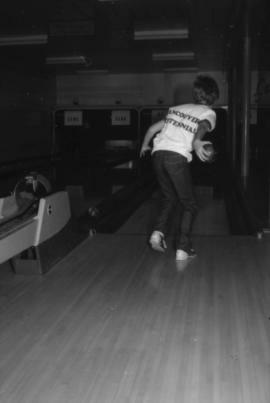 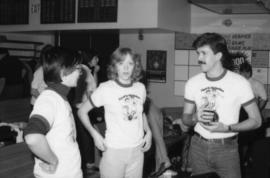 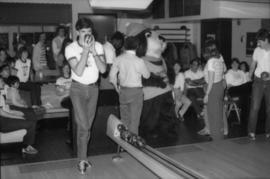 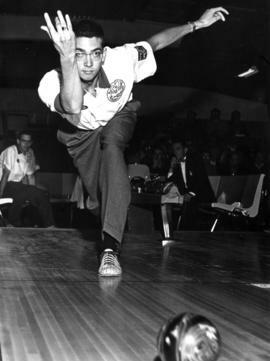 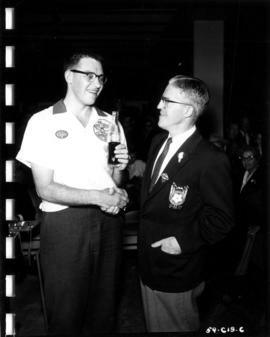 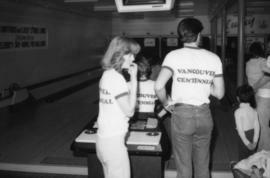 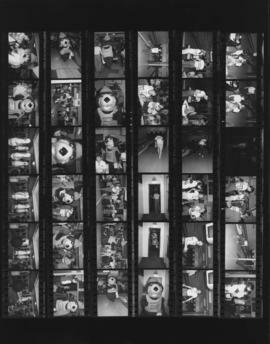 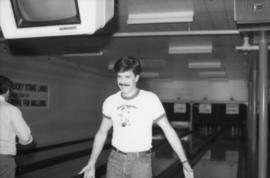 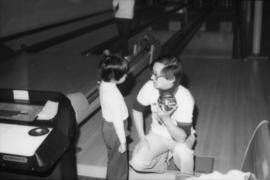 Item is a photograph showing Charles Ho bowling and a team member sitting behind him. 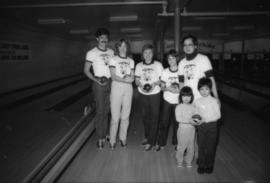 Item is a photograph showing a group at the "Big Brothers Bowl for Millions" event. 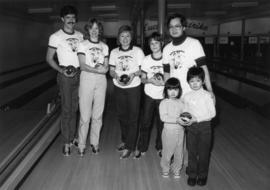 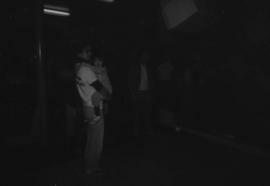 Adults pictured (L-R): unknown, Charlotte Baynes, Doreen Maruska, Hayne Wai.